The Cayman Islands don’t often get a lot of love from folks, other than from Wall Street financiers of course, haha. But, that’s a shame. 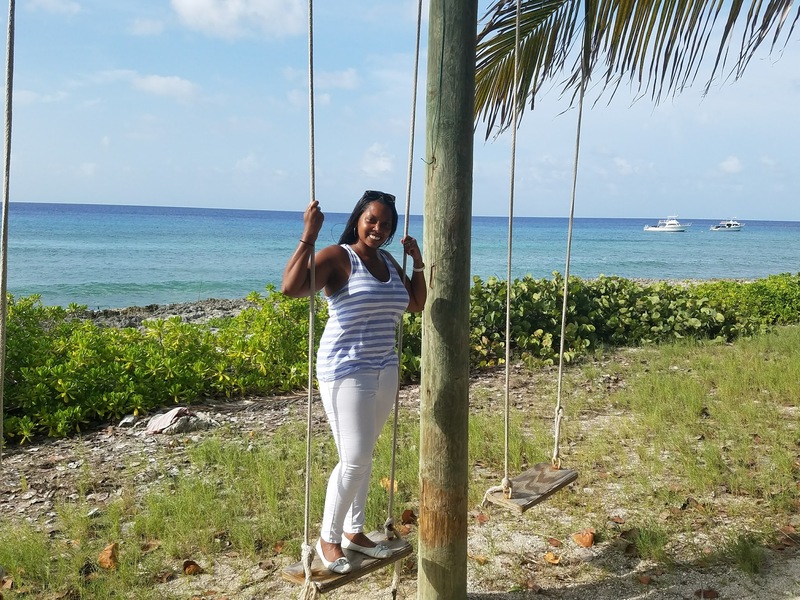 It’s certainly not flashy nor full of tons of activities as with other islands such as the Dominican Republic, St. Lucia, or Jamaica, however, there is plenty to keep you smiling during your vacation. 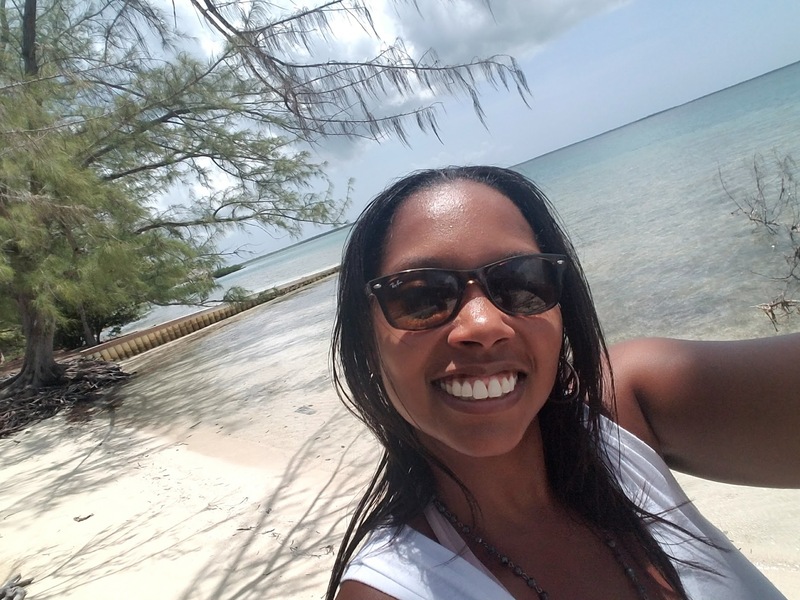 I’ve probably visited Cayman about 6-7 times as my husband used to attend St. Matthew’s University, located in West Bay, Cayman Islands. 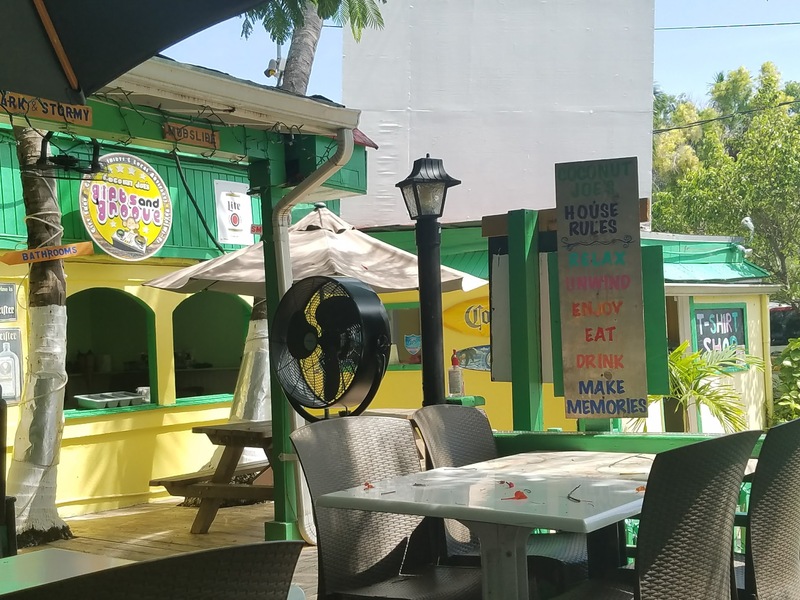 What initially attracted us to the island may appeal to you as well: a) it had the best infrastructure of any Caribbean island I’ve visited (and this has only improved over the last 2 years), b) it has great food, and c) its calm. I know this sounds crazy but sometimes I feel more tired after a great vacation because I’m busy taking in every single activity a place offers (ie: ziplining, rafting, hiking, etc.). Sometimes, I just want to relax and read a book, but feel compelled to partake in too many activities to really take in some quiet time. 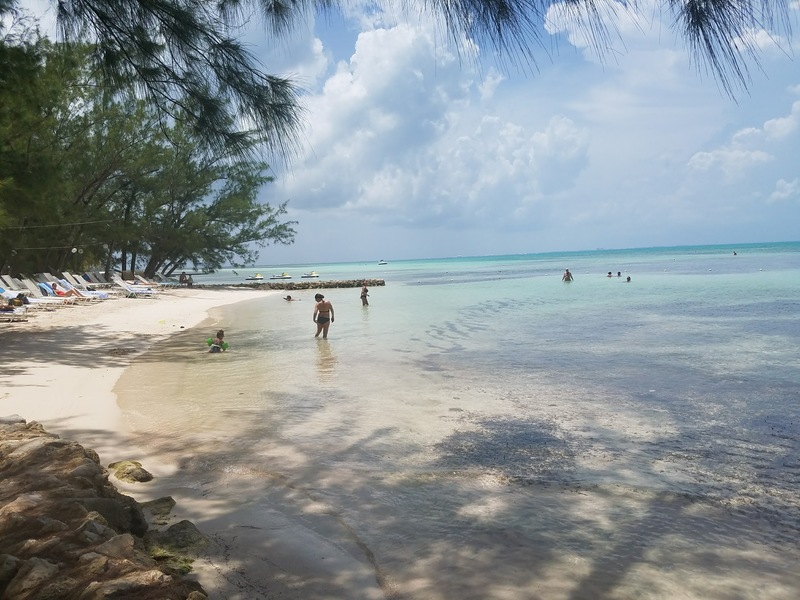 Fortunately, Cayman offers a more relaxed environment, while still looking a lot like paradise. 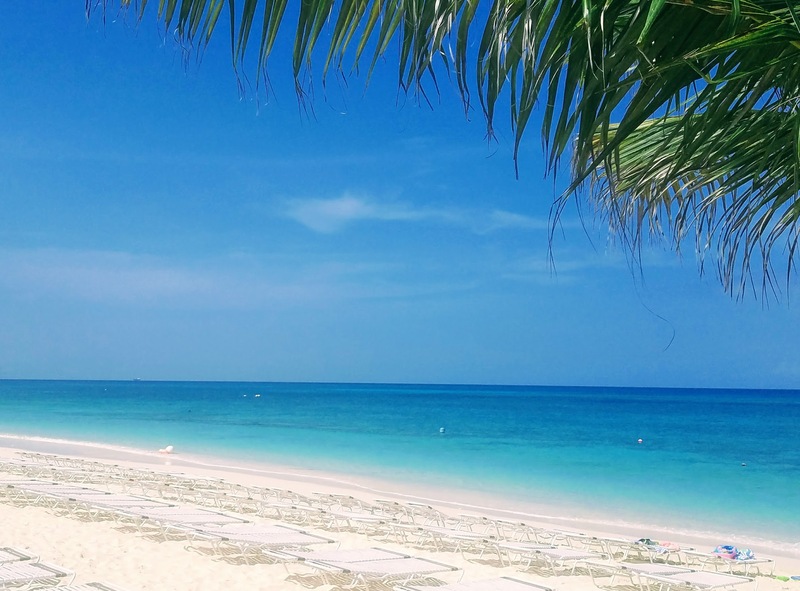 1) 7 mile beach – home to some of the clearest, calmest waters you’ll ever see. This stretch of beach isn’t in fact 7 miles (closer to 5.5), but you’ll have plenty of space to chill, relax, and read a book. 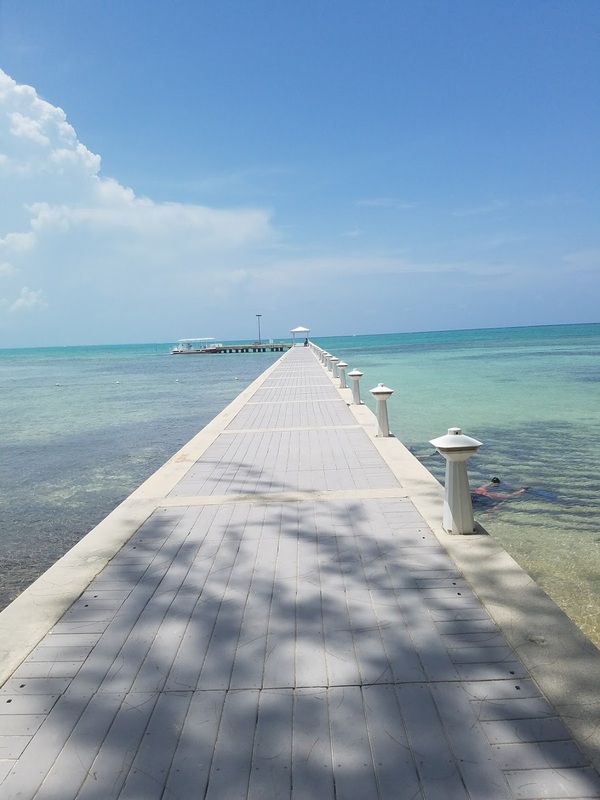 Along this stretch, there are a few hotels that offer beachfront eating, and as you get closer to Georgetown, there are activities available such as jet-skiing or glass bottom boat trips. 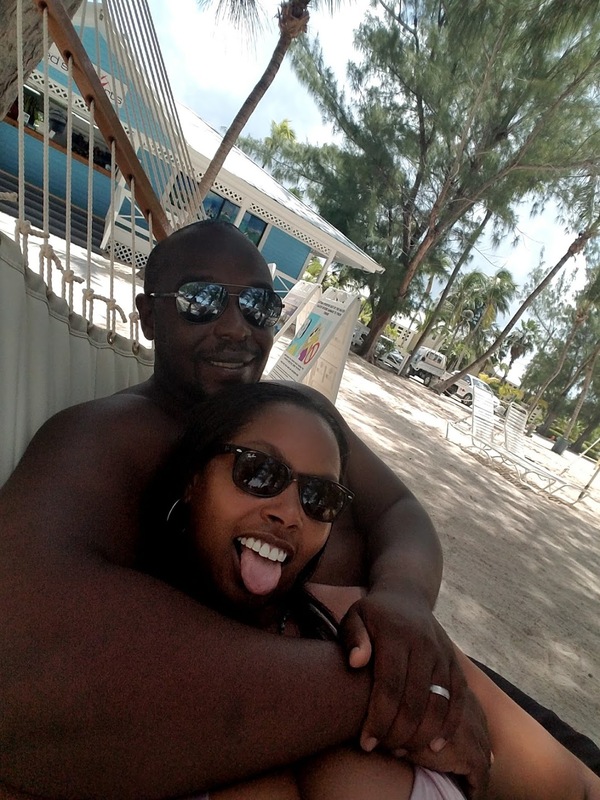 The last time we visited, we went to the Royal Palms Beach Club, which is situated along 7 mile beach. 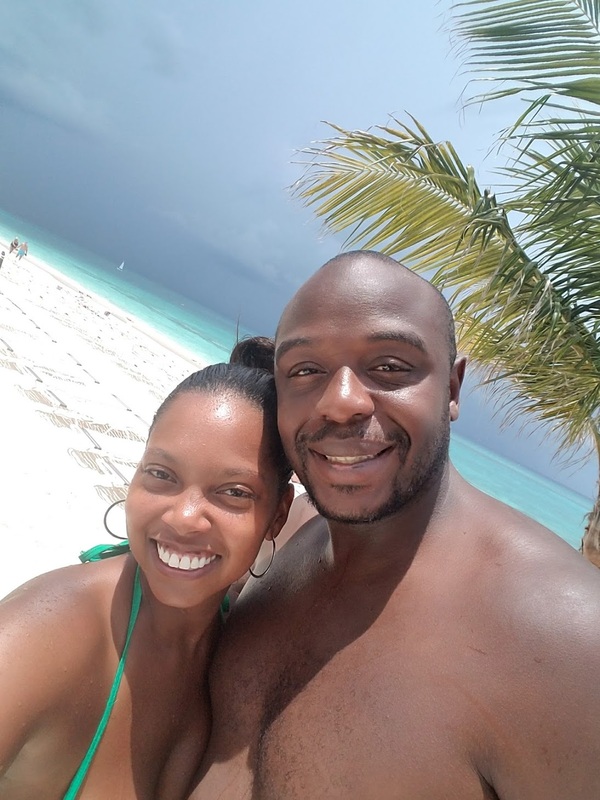 We rented one of their private poolside cabanas, and truly had a ball. 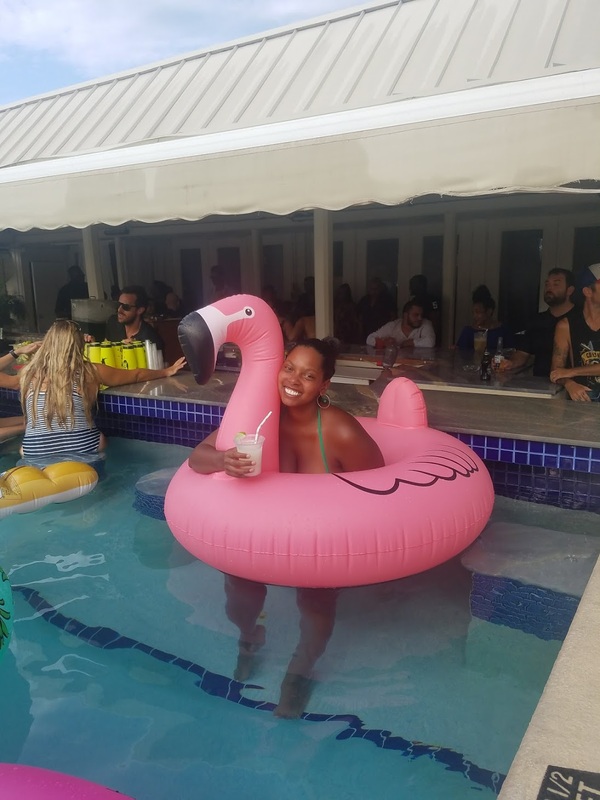 We went on a Sunday afternoon, which is when they have an adult only pool party, with drink specials and cool vibes. 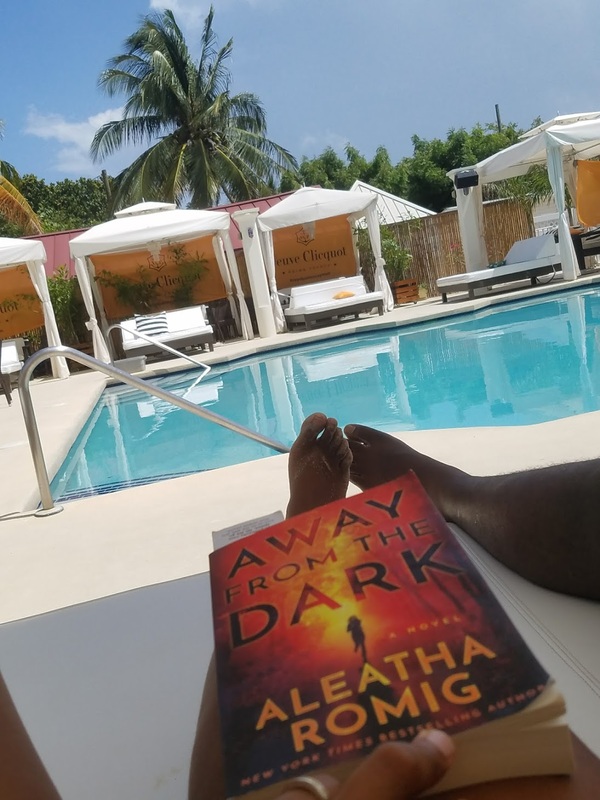 I was able to enjoy my book in the morning, eat at their beach side restaurant for lunch, and then enjoy their pool party by late afternoon. Great choice if you’re in town on a Sunday. 2) Rum Point – if you’re staying along 7 mile beach, you’ll need to rent a moped/car, or hire an uber to get here, but again, it’s worth it. Somehow, it’s a more calming enclave than 7 mile beach (which I didn’t realize was possible). 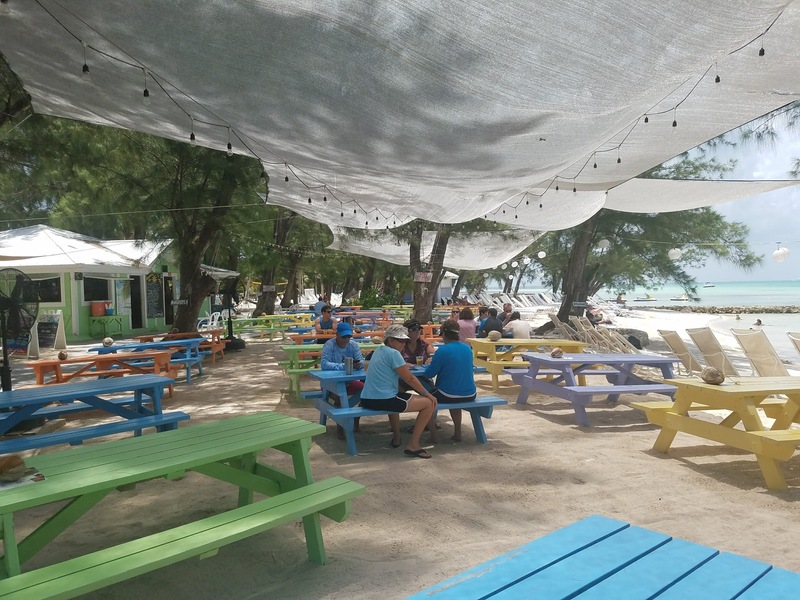 When you reach Rum Point, you’ll see plenty of lounge chairs and hammocks, and even a volleyball net set up under ons of trees providing glorious shade. There’s a restaurant that serves basic bar type food (burgers, fried fish, fries, etc. ), and rum based drinks (I came prepared w/ my own rum!). In front of all of the beach chairs is a bay type area where you can go kayaking, or jetskiing, or just relax and play in the water. Again, its an extremely calm place, that offers peace and serenity, and light water activities if you so desire. 3) Stingray City – anytime I travel to an island, I try to get out on the water to see what the landscape looks like from water. Cayman doesn’t really have great views from the water, but what it lacks in topography, it makes up for with a trip to Stingray City. 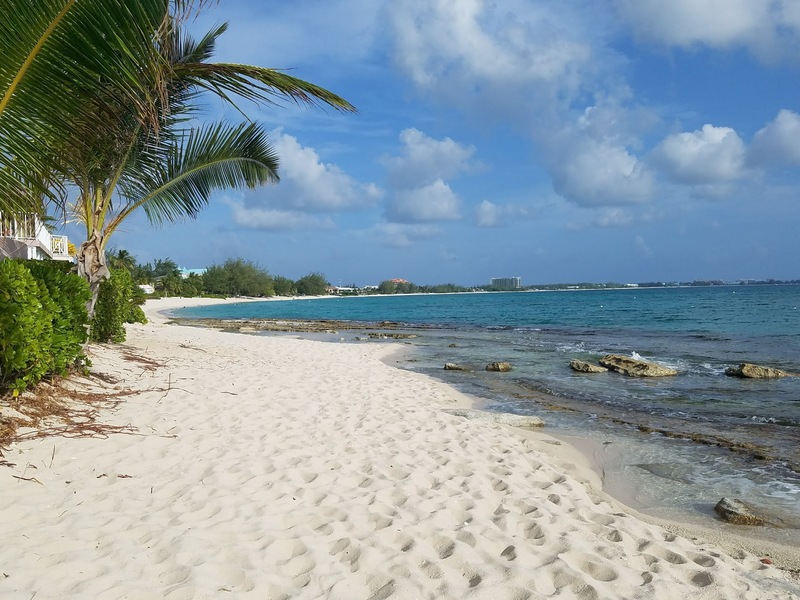 It’s located along the Northern Sound in Cayman, and is made up of a series of sand bars. You can hire a private boat tour operator to take you (or travel along with 7-8 other people on a shared tour), but I’d highly recommend taking an early morning tour if you desire to beat the crowds. It has become a hugely popular attraction, so if you go there early afternoon, it’d probably be so crowded that you won’t even be able to swim around the sandbar once you reach it. Otherwise, it’s cool to see these large, magnificent creatures up close (and a bit scary as Steve Irwin is still in my thoughts). It is also amazing to see how quickly kids get acclimated to the environment. From what I see, they are at first a little nervous as the stingrays here are quite large, but once someone shows them its safe, they usually have more fun than the adults, so I’d say its a kid friendly attraction as well. 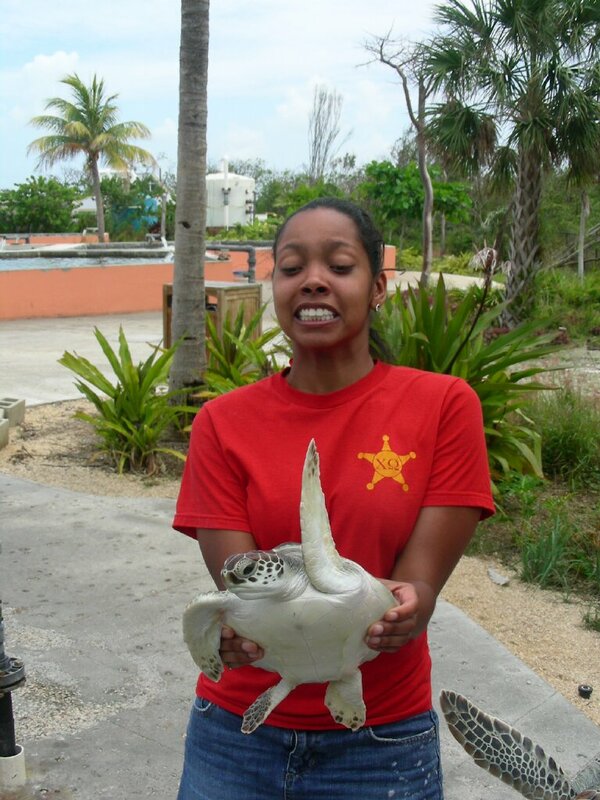 4) Cayman Turtle Centre – in the theme of kid friendly attractions, I had to include the turtle farm. Greg and I went while he was in medical school, and it was just a cool, different thing to do. There’s a lagoon that houses an alligator, areas where you can touch turtles that are being rehabilitated, an aquarium-like tank that houses sharks, and a lagoon where you can actually snorkel among turtles. 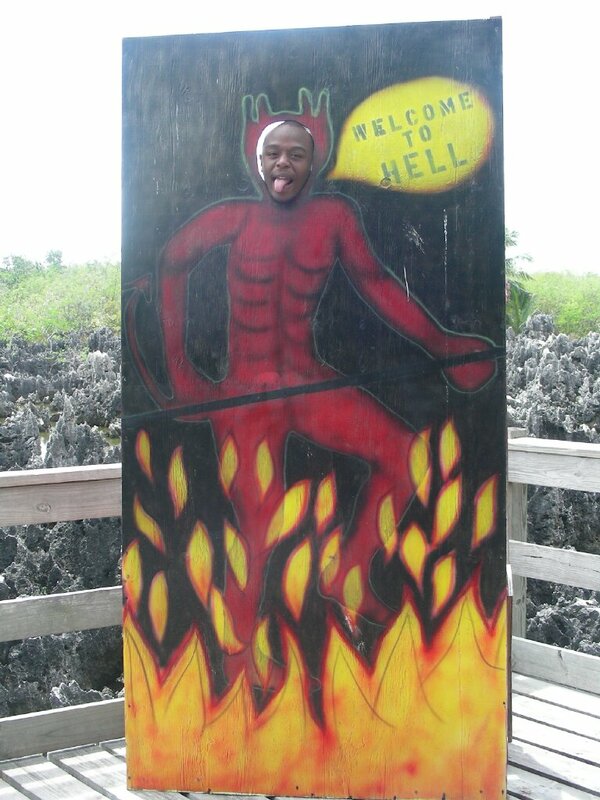 5) Hell Point – this is a quick pitstop, but cool nonetheless. It’s essentially a field of limestone deposits that remind you, of well, Hell (from movies, lol). You’d only spend mayb 3-4 min here, just enough to take a pic and maybe grab a postcard to mail out, from Hell. 6) Camana Bay – this is a new shopping/restaurant complex that houses a bit of everything, restaurants, shopping, and even a movie theater. We tried a couple of restaurants in the area, and were happy, but truly appreciated the fact that it’s waterside. 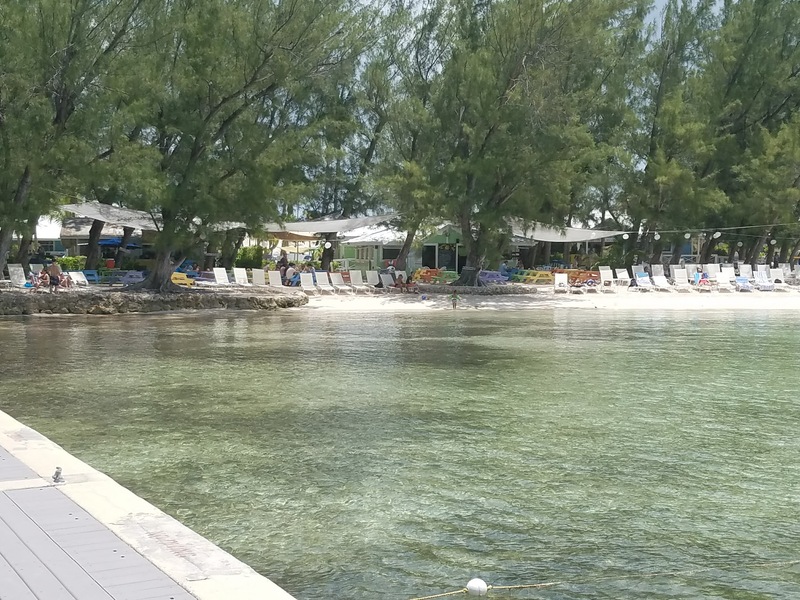 Again, very calm and chill spot, much like the rest of Cayman. 1) Copper Falls Steakhouse – this is my favorite steakhouse in the world. Yes…i said the world. First off, they cook your steaks perfectly to your tasting – none of that undercooking that you hear other restaurants do to prevent waste. Secondly, I appreciate their side items (they actually have linguine and mac and cheese as options which ties into my Italian loving). Third, their lobster bisque is…everything. Lastly, you need to ask for their homemade steak sauce. It is comprised of a bit of steak juice, onion, and a whole lot more, and its DELICIOUS. The last time we visited there, we paid them $20 to give us a bit to take home they don’t officially sell their sauce unfortunately). If you make reservations, you’ll be in great shape. I keep forgetting to take pictures because I chow down pretty quickly when I visit. 2) Ristorante Ragazzi – top 5 fave Italian restaurants of all time (and yes I’ve been all through Italy). I know, who thinks about Cayman and great Italian, right? 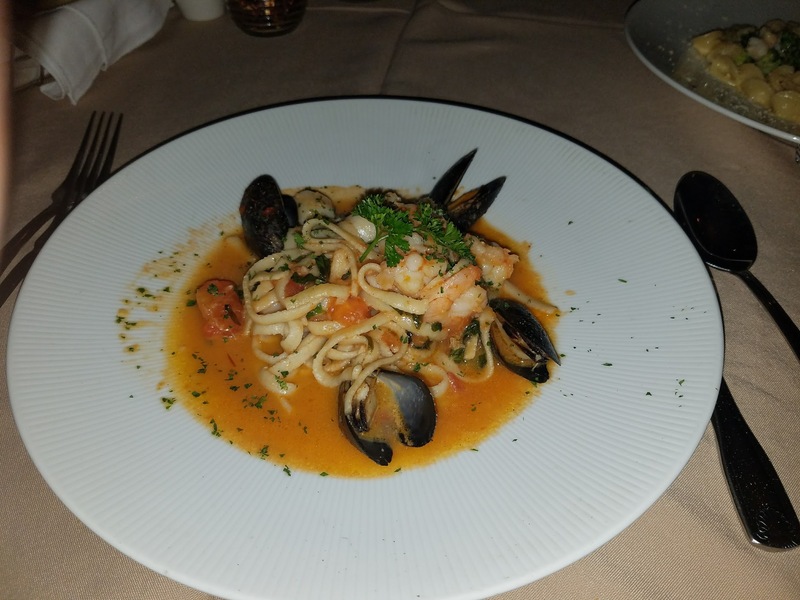 First off, their service was impeccable – our waitress took a lot of time explaining the dishes, and even asked the kitchen to split both of our entrees as we offhandedly advised her that we were splitting both entrees so we each had an opportunity to try everything. 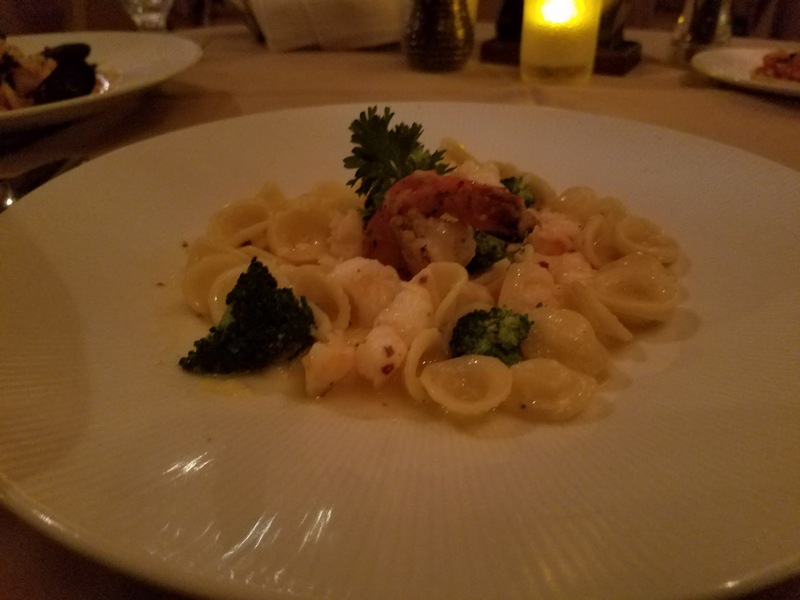 Secondly, you can tell that their chef took some time when creating their dishes – Greg loved their Penne Lobster, and I was in love with the Orechiette. The flavors were deep and melded together perfectly. I also like that the restaurant was very unassuming – they didn’t take themselves too seriously, though they did make you feel special. Would highly recommend. 3) Coconut Joes – this is on the list because of how chill it is and how great their drinks are. They used to have the best rice bowls on the island, but according to a waitress, they stopped selling those years ago. Fortunately, they still sell great wings and ribs, and if you dine there while there’s a popular sports game on, you’ll be treated to HUGE tvs situated up on the restaurant wall. It’s a true local spot that’s great for chill food (though I can’t recommend it for breakfast). 4) Eats Cafe – first off, let me say that I really want to try West Bay Diner. 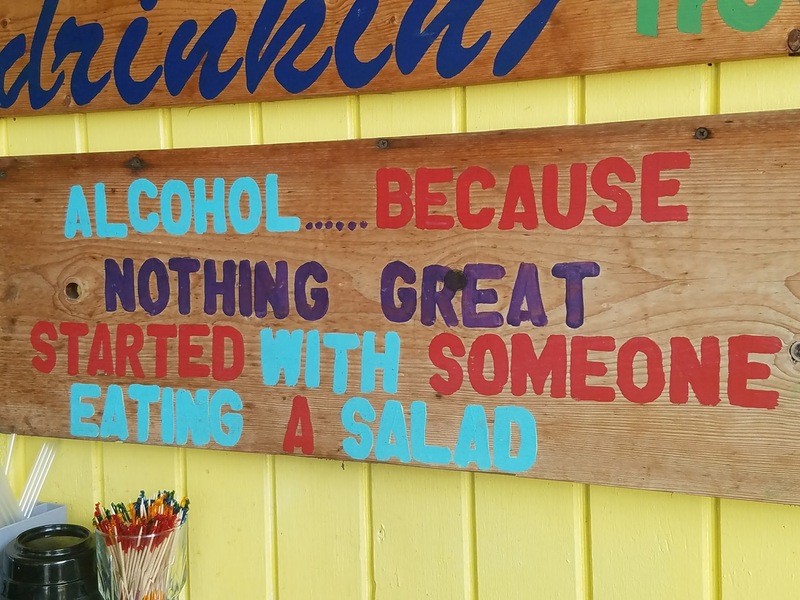 Every time I have gone to Cayman, something prevented me from trying it, but its on my to-do list. Now that I got that out of the way, I like Eats – but let me preface this – its no frills, and doesn’t have a per se shtick (it’s not waterfront, or have a key item you MUST have). So why do I recommend it? I like normal pancakes or waffles when I travel. I’m pretty American in this way…I just want chill waffles, with eggs, and bacon, and not pay an arm or a leg for it. 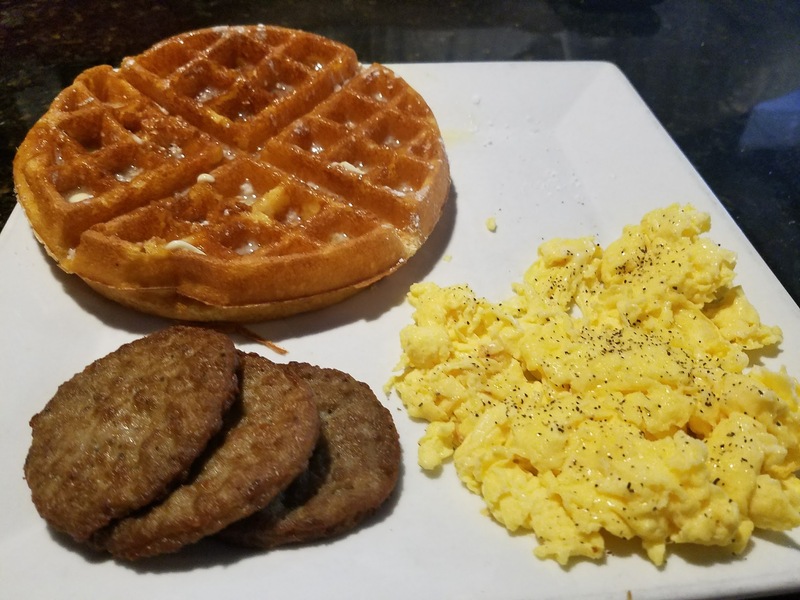 I’ve tried a few spots and this had the best chill American breakfast that I had on the island, and they play Motown music in the background as you dine. 5) Decker’s – you need to come here for their All You Can Eat Lobster nights (Tuesdays and Saturdays). Their food is fresh and delicious, and not over-priced, which I have found at a few other spots. Just be mindful that they close down during certain times of the year (like Westbay Diner), but otherwise, this is a great bet if you’re hungry for seafood! mentioned above will require access to transportation (though there are buses on the island as well), especially Rum Point. 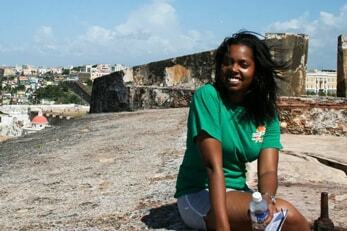 2) It’s on the more expensive side – you won’t find great pricing or deals as you would on other islands. I recall once going to KFC during Greg’s med school days, and they wanted to charge $20 for chicken. We laughed ourselves out of the store. Now that we are working, the pricing isn’t as jarring, but still, don’t think you’re going to get a deal on food or drinks while you’re in town. Generally, expect Florida – NY type pricing, depending on what restaurant you go to. 3) Stay chill – they don’t have awesome mottos that you hear everywhere like you do in Costa Rica or Jamaica, but the island is very calm, some may even say – too calm. You don’t hear people honking on horns or yelling in the street, and we literally have circle the entire island tons of times. 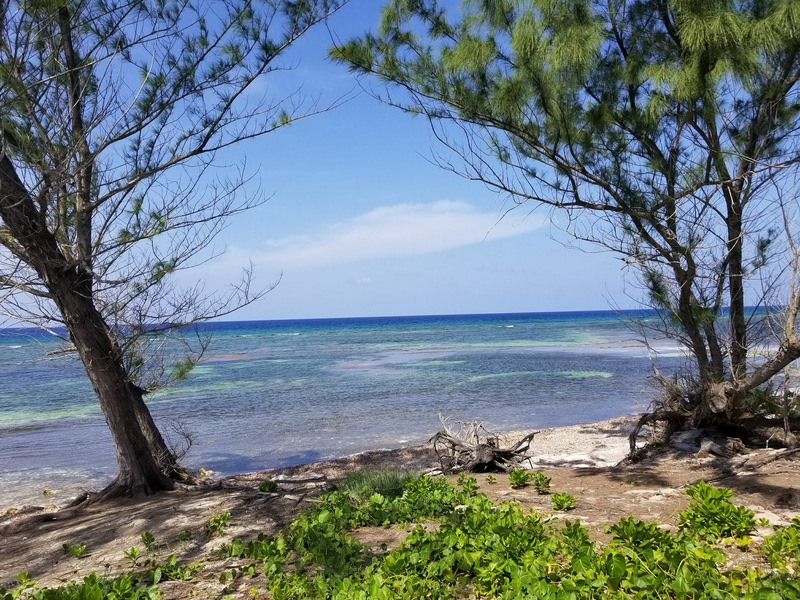 One thing that we love doing is going off the side of the road on our way to/from Rum Point, and finding a private spot on the beach to chill and drink some rum, and literally, no one bothers you. 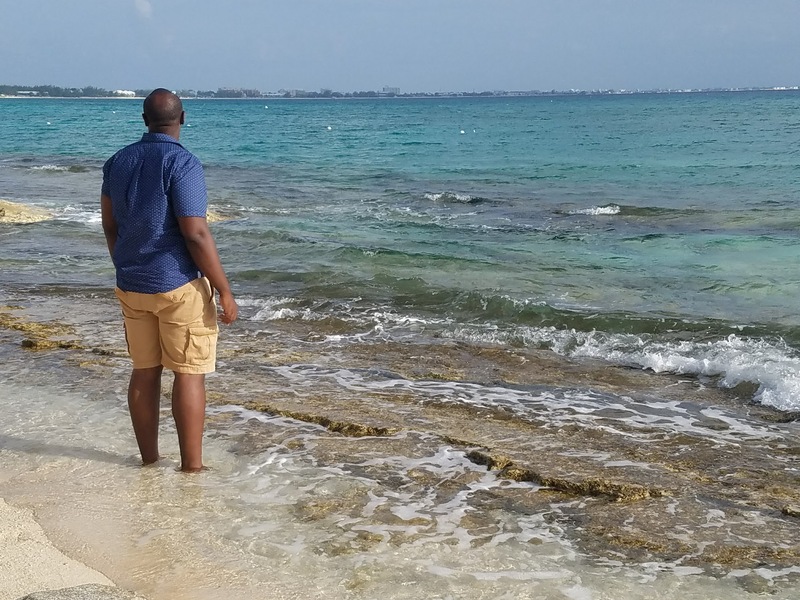 As I’ve said throughout the entire post, Cayman is extremely chill, and the perfect place to visit if you want to eat well, read a book, and enjoy the sunshine, and if you live in Florida, take advantage of Southwest’s $59 deals. Enjoy!! This is great article and by far our home away from home. 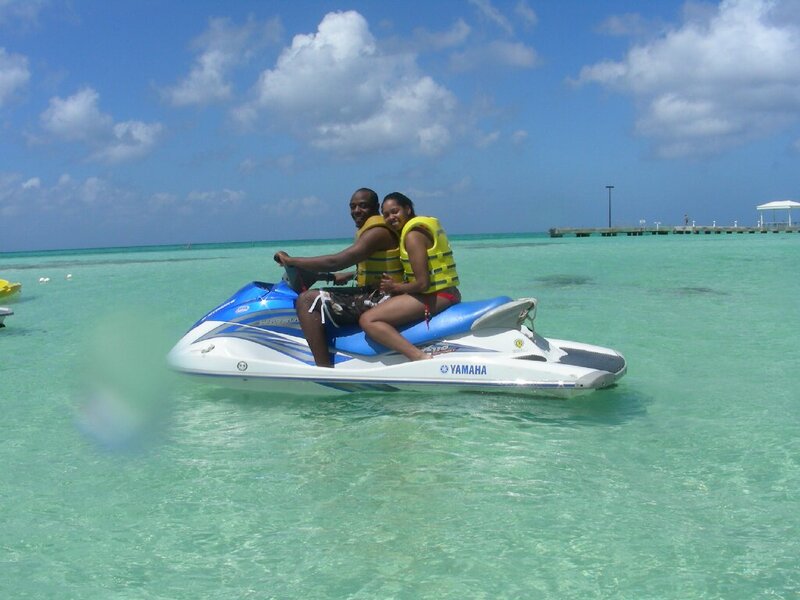 We love the Cayman islands and it will always be dear to our hearts. Looks like I found an expert on the Cayman Islands! 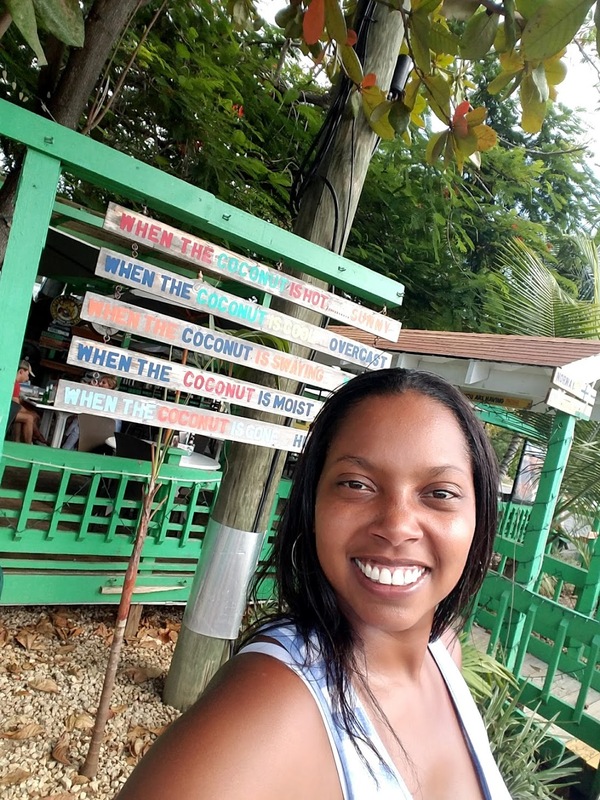 This vacation spot sounds like the perfect spot to force yourself to relax based on how you describe the calm vibes of the island. 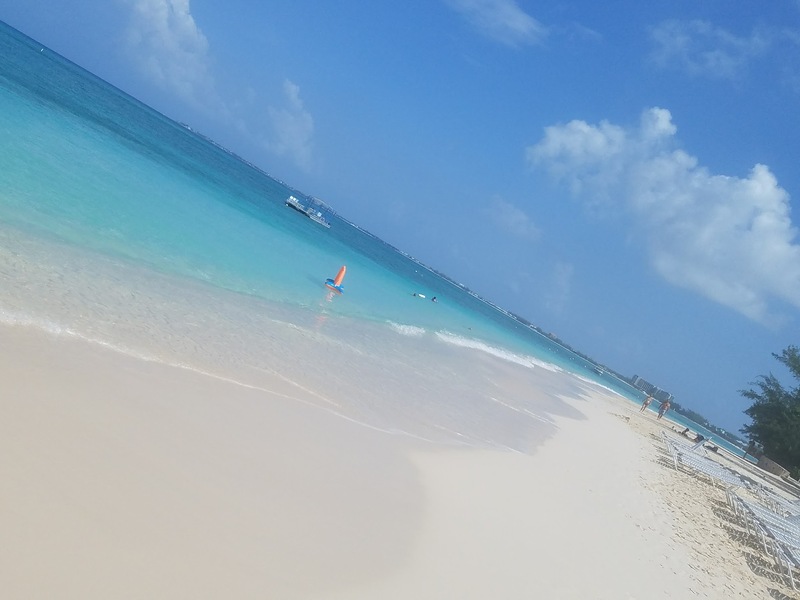 Even if it wasn’t calm, that clear blue 7 mile beach is enough to make me want to book asap! Loved this post! Yes – it literally is perfect for getting away from it all. Just enough to enjoy yourself, without feeling like there’s anything you NEED to do. So bring a couple of books, and you’ll be straight!! Great post Lauren! I agree that this is def a over looked island. I myself never think about it when planning a get a way. 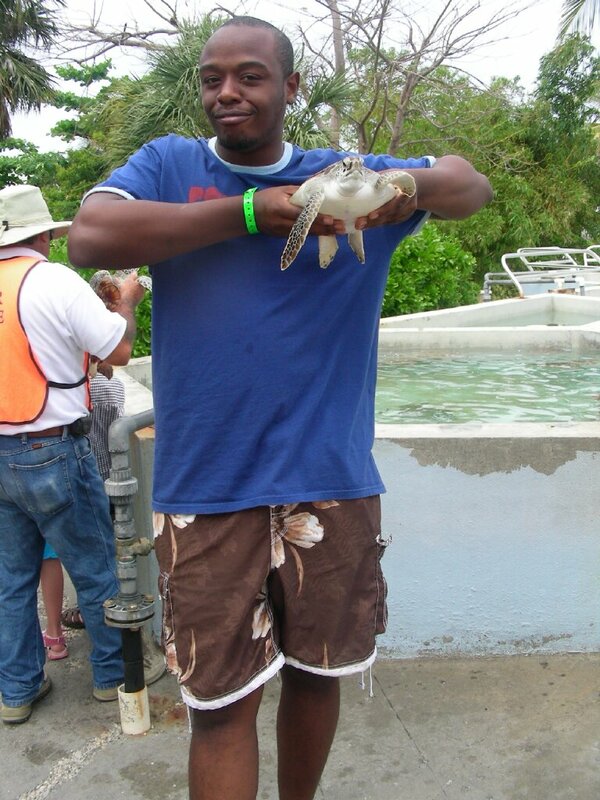 Love the turtle pics of you & Greg too. . Haha! Thank you a lot for the interesting blog.Highly reccomend! Thanks so much for the support – really appreciate it!! Thanks so much – its definitely my intention to provide readers with helpful information! Really appreciate the support! That’s a deal!! I plan to visit Cayman again really soon, and will post more articles re: Indonesia, Germany, and Costa Rica, really soon 🙂 Thanks so much for the support!! Greetings! I’ve been reading your web site for a long time now and finally got the bravery to go ahead and give you a shout out from Dallas Tx! Just wanted to tell you keep up the fantastic work! Awww – thanks so much for the support. This truly made my day! Thanks so much!! I am curious to find out what blog system you’re utilizing? I’m having some minor security issues with my latest site and I would like to find something more safe. Do you have any recommendations? Hey – I’m on Word Press, and have a web host who monitors my site for me. I wish I could provide better recommendations, but I’m still trying to figure it out – but if I learn more, I will definitely follow up with you! Great blog! Do you have any suggestions for aspiring writers? I’m planning to start my own blog soon but I’m a little lost on everything. Would you propose starting with a free platform like WordPress or go for a paid option? There are so many options out there that I’m completely confused .. Any suggestions? Appreciate it! Hey – I knew that I couldn’t dedicate my entire time to designing my blog, so I hired a web developer and worked with him on its design. We chose Word Press, as its one of the easier platforms to use for updates and adding posts. One he finished the design, I’ve been in charge of updating it with posts, videos, etc. Best of luck!! Doh! I was domain name searching at namecheap.com and went to type in the domain name: %BLOGURL% and guess who already acquired it? You did! haha j/k. I was about to purchase this domain name but noticed it had been taken so I figured I’d come check it out. Awesome blog! Honestly, I’m not entirely sure 😉 I set it up with my host, and advised what I was looking for. Best of luck! Hey there would you mind letting me know which hosting company you’re utilizing? I’ve loaded your blog in 3 different browsers and I must say this blog loads a lot quicker then most. Can you recommend a good web hosting provider at a honest price? Thank you, I appreciate it! Hey – I’m so glad to hear it! I currently work with LERWS who also helped me to create my blog. The main person I worked with is Edson Romero, who was a tremendous help! Unfortunately, their prices are raising considerably this year, so I will have to look for an alternative host soon. Thanks on your marvelous posting! I really enjoyed reading it, you can be a great author.I will be sure to bookmark your blog and may come back in the future. I want to encourage you continue your great job, have a nice evening! Hi would you mind stating which blog platform you’re using? I’m planning to start my own blog soon but I’m having a tough time choosing between BlogEngine/Wordpress/B2evolution and Drupal. The reason I ask is because your design and style seems different then most blogs and I’m looking for something completely unique. P.S Sorry for being off-topic but I had to ask! Hey – I use word press – I found it to be an easy interface, and I wanted a quick upload for my viewers. Best of luck! Thanks so much for the support – truly appreciate it!